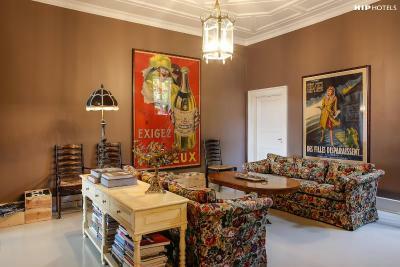 Lock in a great price for Villa Provence – rated 9.2 by recent guests! Breakfast was nice...bread basket, coffee, OJ, and a prepared dish with a fried egg, bacon, kiwi, pineapple, melon, yogurt with honey, and two hard cheeses. 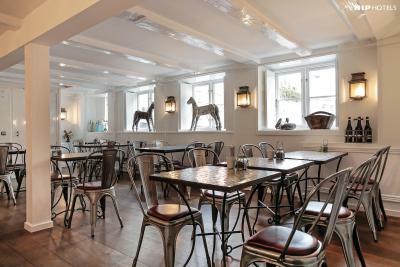 Great breakfast, nicely decorated, very comfortable, excellent staff. Everything is superb. 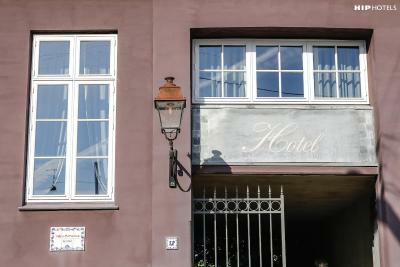 Beautiful small hotel in a quiet central location. The courtyard is lovely, and parking on site is excellent. 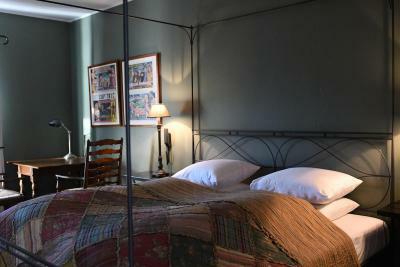 The room was great, with closet space, very comfortable poster bed, and large windows. 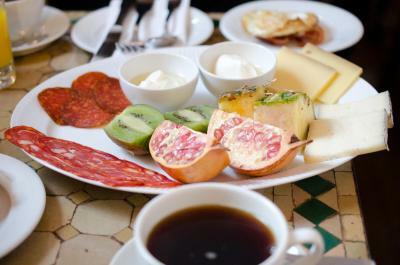 The staff are superior in all respects, and the breakfast was served to us at the table, with fresh eggs, bacon, and a lovely tray or fruit, cheese, and bread assortment. This is an excellent choice for a relaxing stay. This is a lovely property. 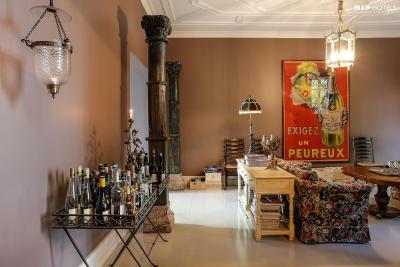 It's a great location, tucked away at the edge of the Latin Quarter, but it's easy to get beyond that and explore the city. The room was great - comfortable bed, great shower, nice bath products, and a good size. The property overall is very pretty, too. Everything. Wonderful and friendly staff. Lovely breakfast. The pillows were great (pillows can make or break a stay for me). Charming property. 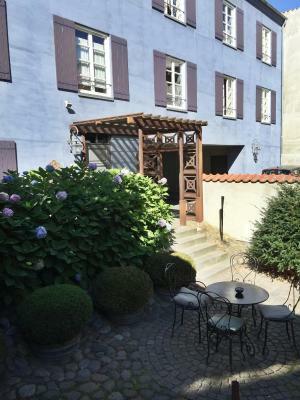 Close to shopping and restaurants on both sides of the canal. 10 minutes from the train station. What a little jewel! We absolutely loved Hotel Provence, its helpful staff, the breakfast, our room and its location right in the centre of town. I would have no hesitation recommending this hotel and staying there again in the future. Very beautifully decorated hotel in a quiet location. Excellent breakfast and service. I was not feeling well while in Aarhus and was in the room during most of my trip. The room was so comfortable (big table and chairs, great bed, big bathroom, nice view of the patio) so I felt like at home. The staff was so accommodating and even brought me an electric kettle and all the fixings so I could have tea as I needed it. There is a wonderful fresh breakfast too. I would absolutely recommend staying here. The room was wonderful and the bed outstanding. The patio was a great place to sit and have coffee or a drink. Upper rooms were accessible by elevator. Breakfast was very good and service for it extremely good. Ask at the desk for the shortcut to the shopping area which is nearby. Parking was very convenient at the back of the hotel. Villa Provence This rating is a reflection of how the property compares to the industry standard when it comes to price, facilities and services available. It's based on a self-evaluation by the property. Use this rating to help choose your stay! One of our best sellers in Aarhus! 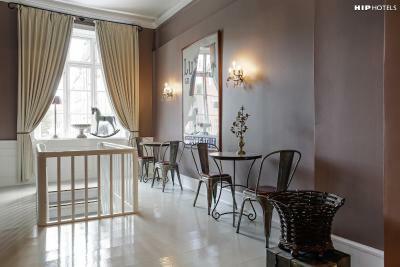 Located by Aarhus’ canal area, 5 minutes’ walk from Aarhus Train Station, this elegant yet intimate boutique hotel offers a popular breakfast with French delicacies. Wi-Fi is free throughout the premises. All the individually designed rooms at Villa Procence have a flat-screen TV, a mini-bar and luxury toiletries by Molton Brown. Some also include a seating area. 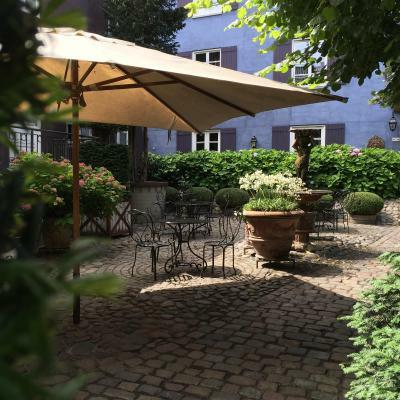 Guests can relax with a drink in Villa Provence’s café or in the cozy cobblestone courtyard with tall lime trees and fountains. 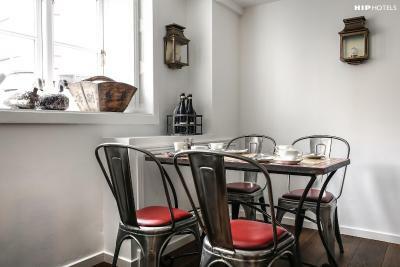 A French-inspired breakfast is served each morning. 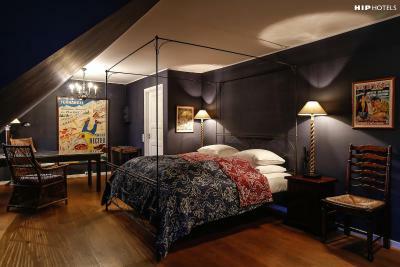 Hotel Villa Provence’s central location provides easy access to shopping, dining and culture. Aarhus Cathedral, dating back to the 12th-century, is just 1,000 feet away. 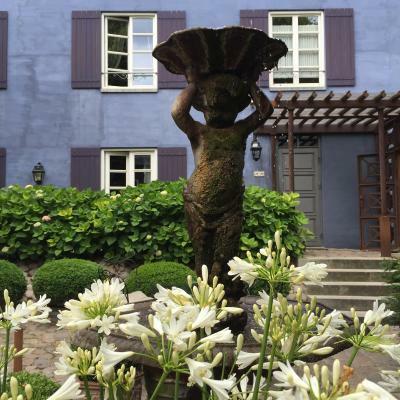 When would you like to stay at Villa Provence? Spacious room with sitting area. Many offer views of the quiet grounds. 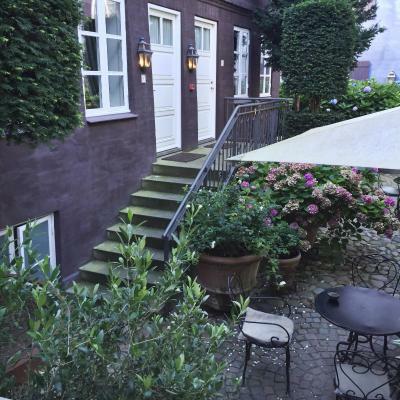 Private parking is available on site (reservation is not needed) and costs DKK 135 per day. 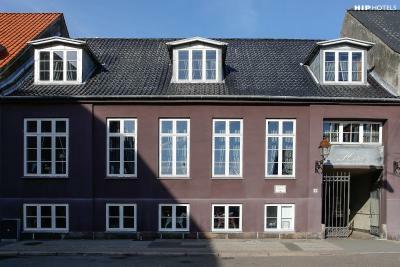 Very spacious room with sitting area and views of either the quiet courtyard or the Fredens Torv square. The individually designed suites include a bathtub and offer views of the quiet grounds. Bathrobes are added for extra comfort. Tastefully decorated room with sloping walls that includes a flat-screen TV and mini-bar. 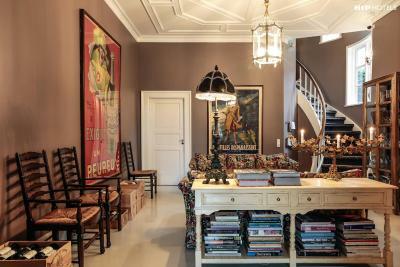 Tastefully decorated room that includes a flat-screen TV, mini-bar and view of either the peaceful garden or Fredens Torv. 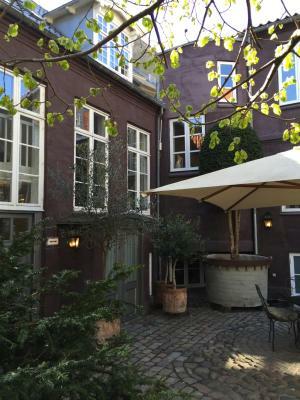 Spacious room with a bathtub, as well as a seating area and views of either the peaceful garden or Fredens Torv. 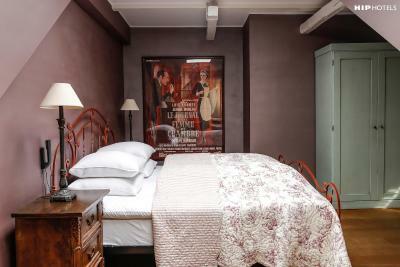 This double room has a private entrance, seating area and mini-bar. House Rules Villa Provence takes special requests – add in the next step! 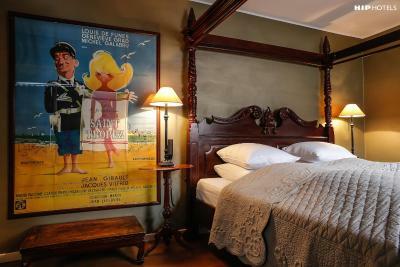 One additional child or adult is charged DKK 450 per person per night in an extra bed. One child under 4 years is charged DKK 300 per person per night in a crib. Villa Provence accepts these cards and reserves the right to temporarily hold an amount prior to arrival. The reception is open 24 hours a day. If the gates are closed upon arrival please press the doorbell outside. 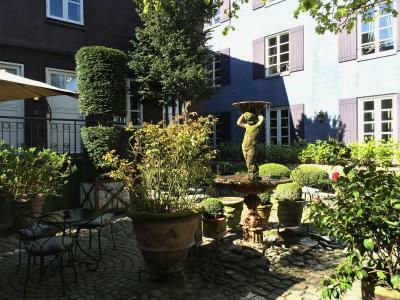 Hotel Villa Provence is a non smoking hotel, but it is possible to smoke outside in the garden. Breakfast is excellent, original way of doing it. Wine was pretty expensive (130DKK for a glass). Be aware -- single traveller so bed given was literally a twin bed. Unpleasant noise coming from the room next to mine. Seriously annoying. Limited facilities in Hotel and parking could be cheaper or even free! 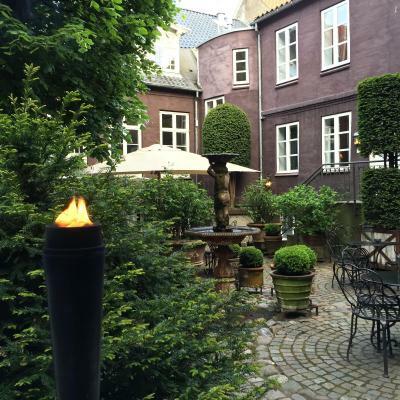 Nice little hotel in the central part of Aarhus. Very nice atmosphere, just like a hotel should be. 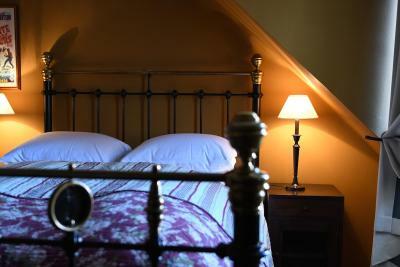 Amazingly decorated and spacious rooms and fantastic lovely staff. We will for sure come back, a great plus was the help to find restaurants in the area from the staff in the reception! The atmosphere and the interior! The room was a bit tired, small and noisy..no nice touches like coffee machine, hair conditioner, or a rug by the bed. Deffinatley no hygge feel in the room. The breakfast is not the best either...not a great choice, standard ham, cheese, small fruit selection, etc. A few nice things about the place: comfortable pillows, nice cosmetics and good location. Didn't like to be told that we can't have a nicer room because we booked via booking.com and the commission is high. Wouldn't recommend. Excellent breakfast. Hidden gem. Very central in Aarhus. Extraordinary quality of the service. 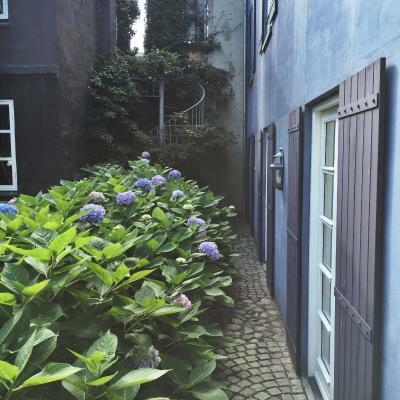 Villa Provence is a great little oasis hidden in the middle of Århus - homely, safe and charming. 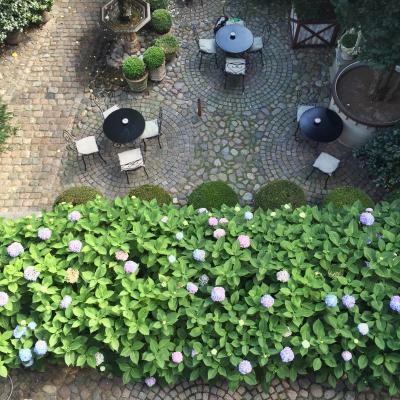 The rooms are decorated with thought and the garden is like from a fairytale. Breakfast is very good.